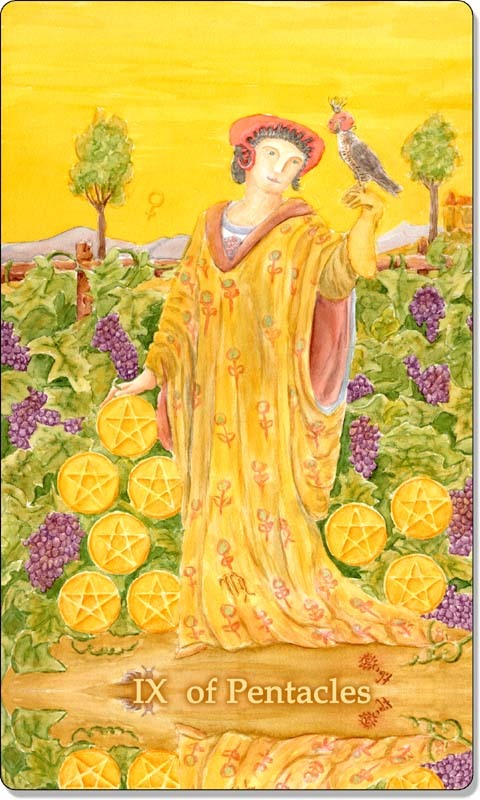 The Suit of Pentacles corresponds to the element of Earth. This is the designation given to it by the Order of the Golden Dawn. 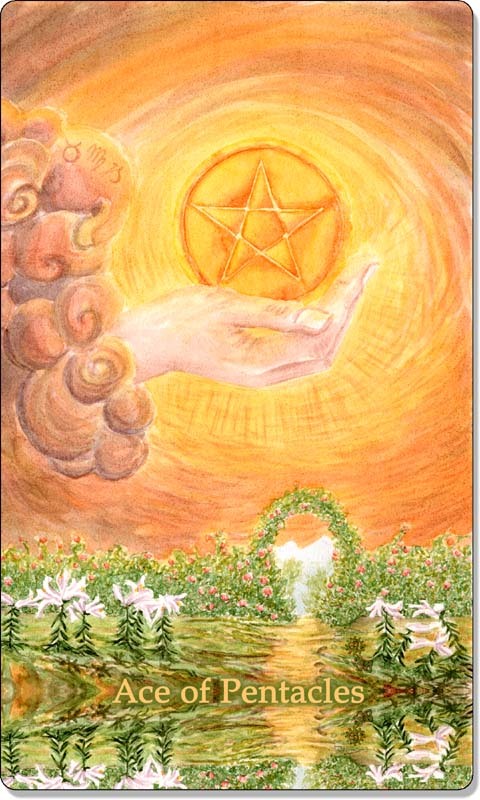 It is associated with all things physical, material, financial and tangible. Because we live in physical bodies, it can also relate to health. 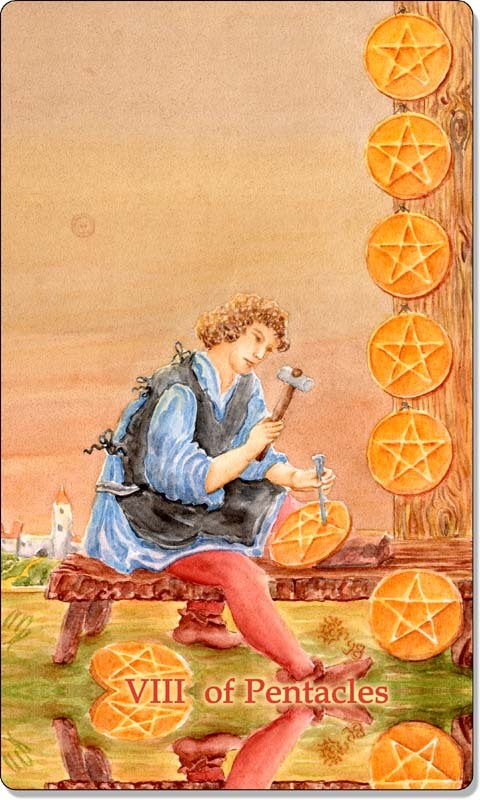 When Pentacles appear, they are typically about our resources. They represent the things we physically have, including money itself, property and possessions. 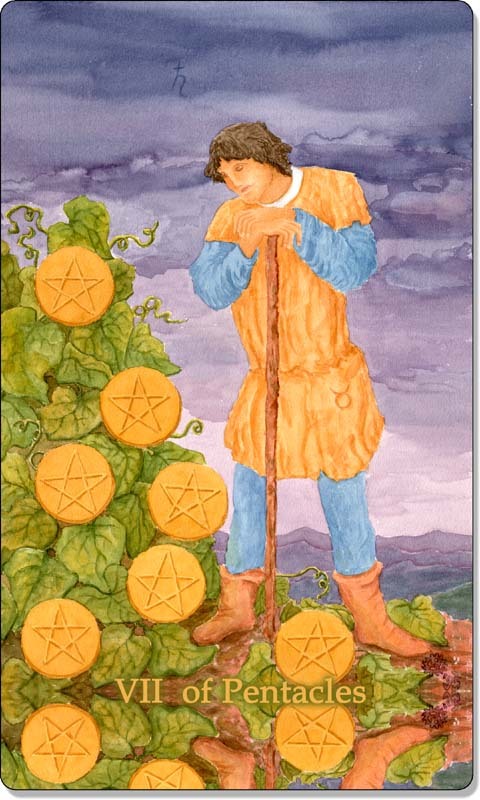 As a matter of timing, the Pentacles cards represent many months to a year or more. So we are talking a long time. This suit represents the slowest energy in the deck, which makes sense, if you think about the weight of Earth energy. Unlike fire that burns fast, and water that flows freely, earth is solid, and physical and as such, takes a while to move. 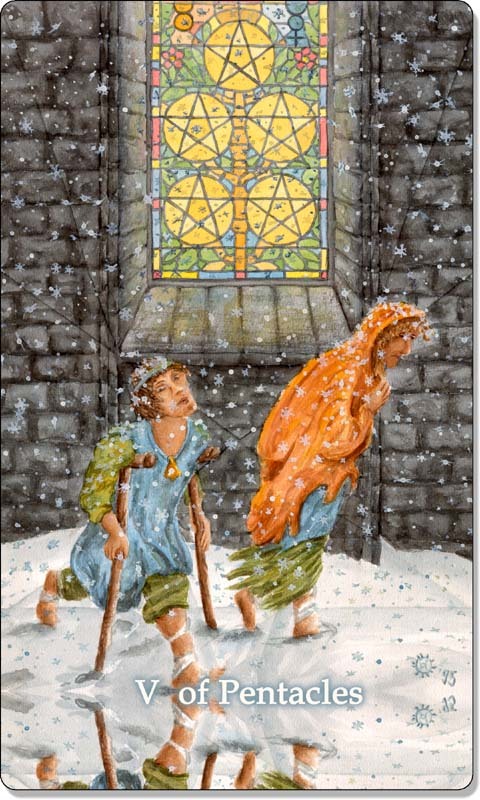 The Suit of Pentacles corresponds then naturally to the cold season of winter, and this reminds me of molasses, the colder it is, the slower it moves. 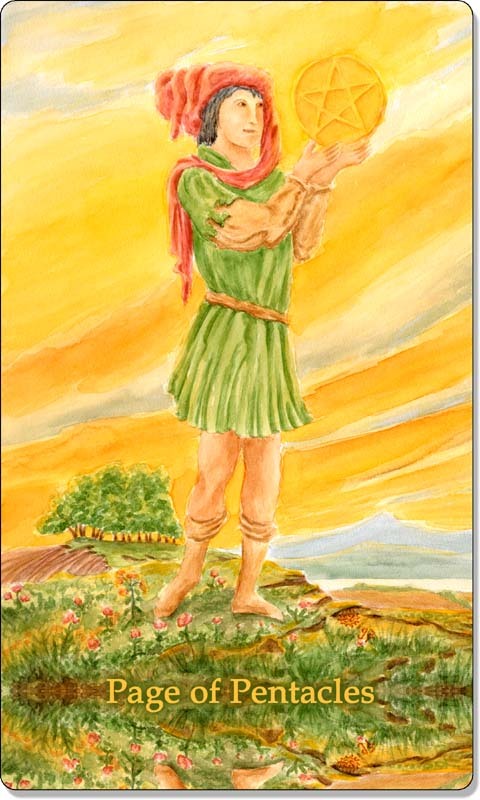 It is associated with the Earth signs, and as the fourth suit, corresponds nicely with the fourth and final Cardinal sign, Capricorn, where we have the Winter Solstice. 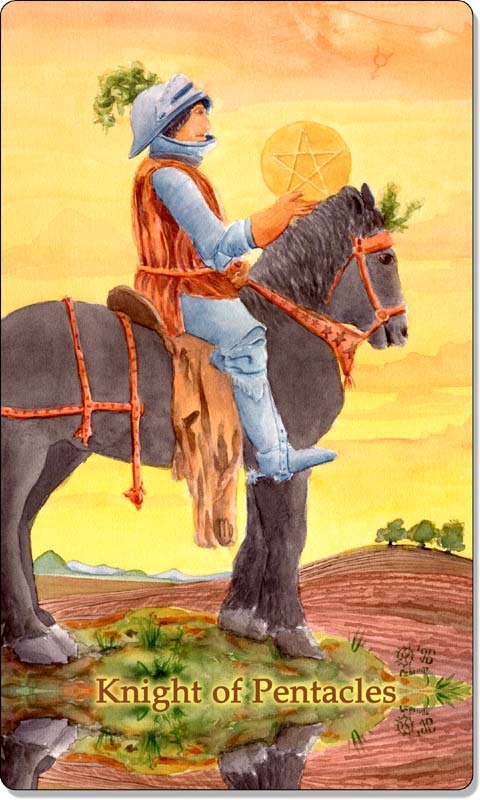 Other Earth signs associated with this suit are Taurus and Virgo. 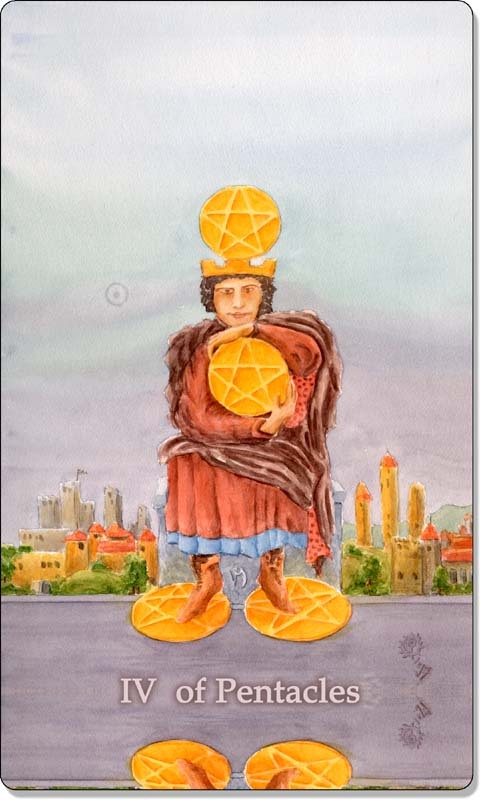 Characteristics for the Suit of Pentacles include security, stability, possessions, health, material goods, hard work, perseverance and tangible rewards. On the negative side this suit can show materialism, greed, selfishness, illness, lack of effort, laziness and lost possessions or property. 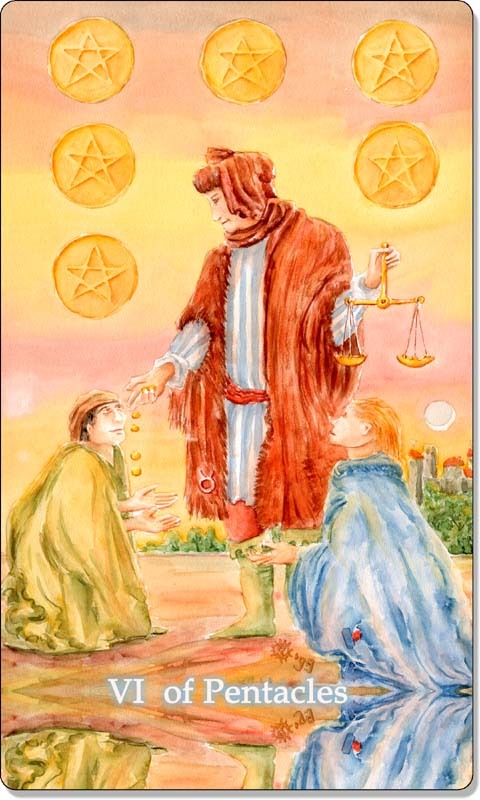 In a deck of playing cards, the Suit of Pentacles corresponds beautifully with the luxurious suit of Diamonds. 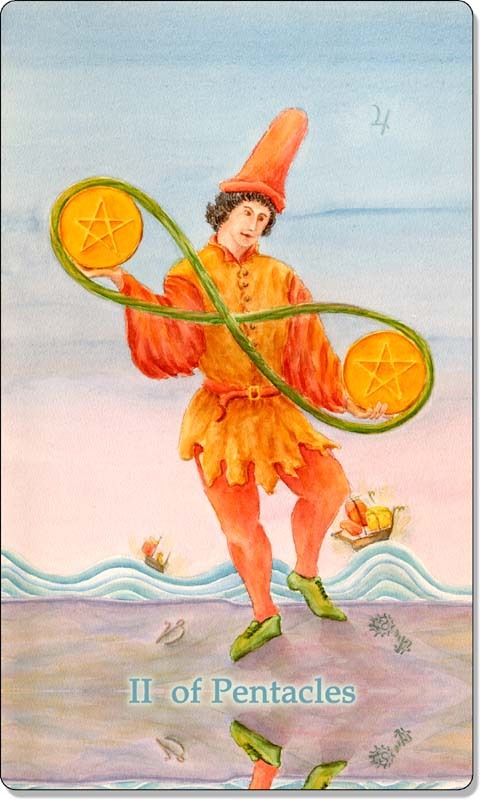 In other Tarot decks, you may see this suit under the name of Coins, Disks, or Deniers. 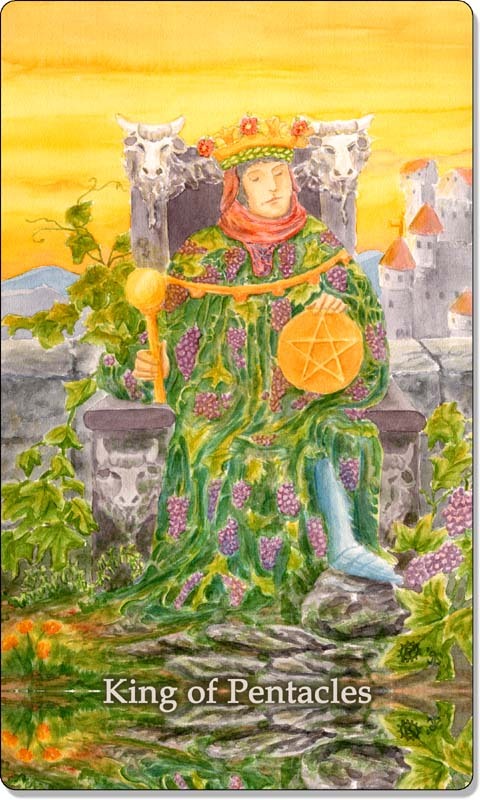 The Tarot has been around for a very long time, and over the years the name has been adapted by different Tarot scholars; however these are the ones you will most commonly see. 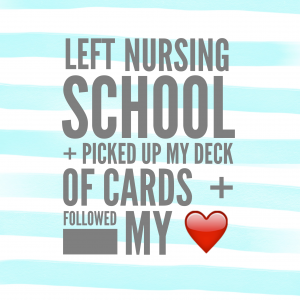 This does not change the meaning of the cards by any means. 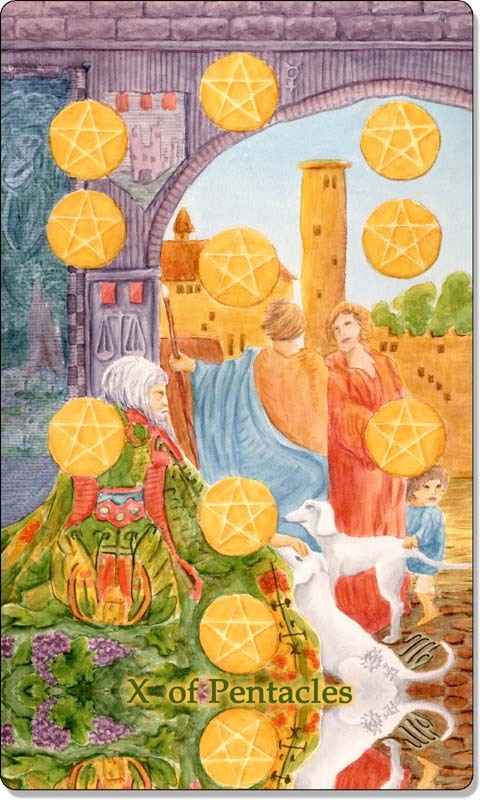 As it relates to people, the Pentacles Court Cards are usually used to depict those who have their Sun in the Earth signs of Taurus, Virgo and Capricorn. 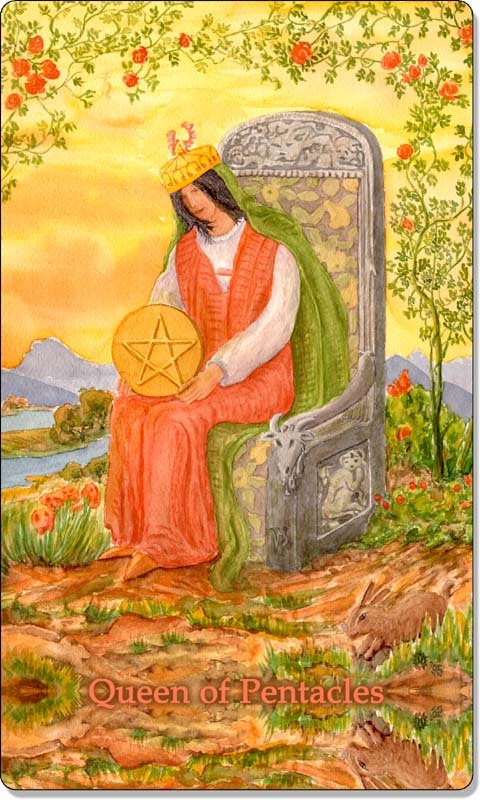 Major Arcana cards that correlate to the Suit of Pentacles are as follows: The Empress, The Hierophant, The Hermit, The Devil and The World. In each of these cards you will find the Earth elements present. 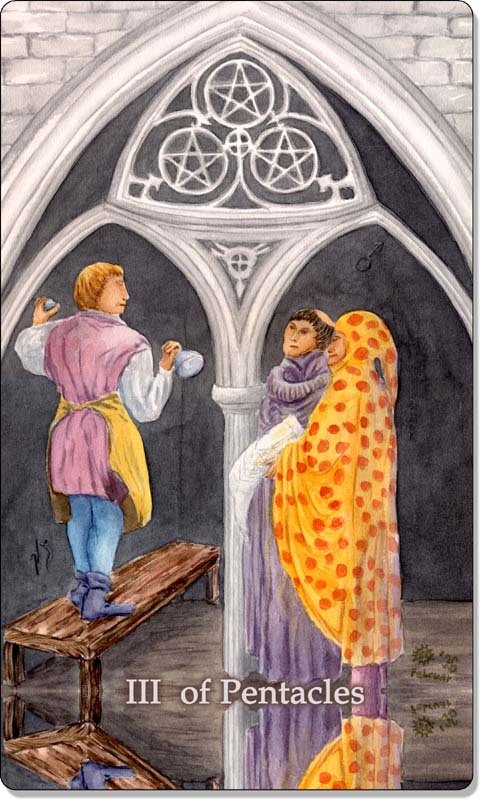 I consent to Tarot Liza collecting my details through this form.